There are now more than 60 Ebola outbreak hot spots. Doctors and health officials aren't able to go to them all. The known death toll is at 337. Dakar (AFP) - An epidemic of the deadly Ebola virus in West Africa is now "out of control" with more than 60 outbreak hotspots, the medical charity Doctors Without Borders (MSF) said on Monday. 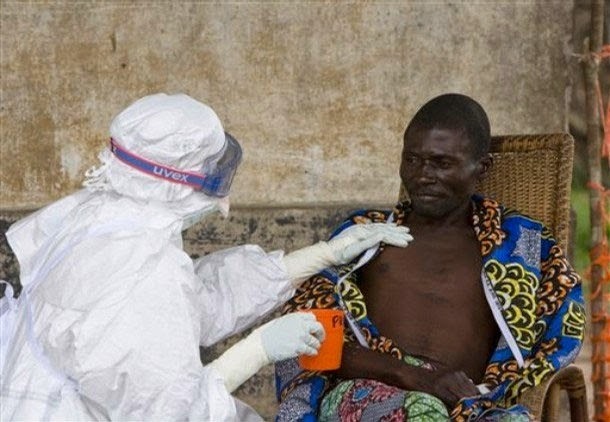 "The scale of the current Ebola epidemic is unprecedented in terms of geographical distribution, people infected and deaths," MSF said in a statement. The rapid spread of the disease, which is deadly in up to 90 percent of cases, has overwhelmed aid agencies and health workers and terrified local communities. "The epidemic is now out of control," said Bart Janssens, MSF director of operations. "With the appearance of new sites in Guinea, Sierra Leone and Liberia, there is a real risk of it spreading to other areas."